What’s the Project? 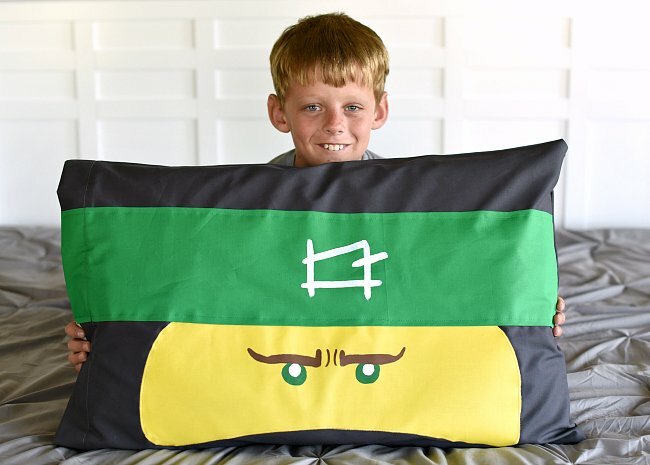 This cute Ninjago pillowcase tutorial is a huge hit with the kids! It’s not hard to make and they will love it! 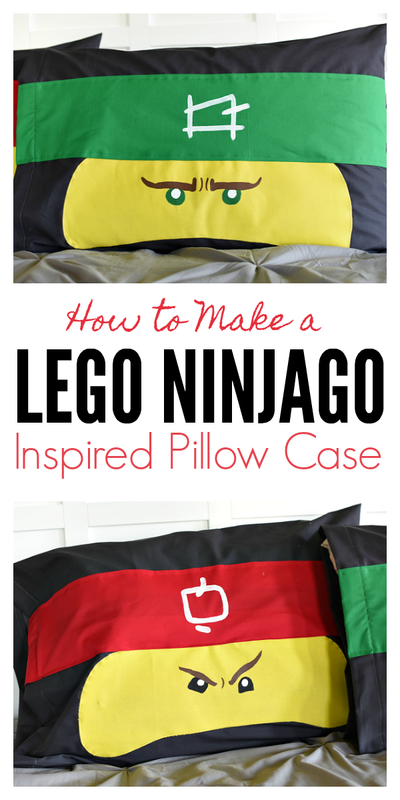 Sew a Ninja for each of your kids or grandkids. Makes a great gift! This post is sponsored by Warner Bros. Pictures. All opinions are my own. I live a life utterly surrounded by boys. I have four sons (and of course my husband) in my home. I have four (yes four) younger brothers. I coach a boys’ soccer team, I am used to little boy humor and I have dirt colored carpet, couches, and walls on purpose. There are no sisters in my world, no daughters to be found. And I am happy. I get boys. I admit, sometimes I walk longingly past displays of pink ruffled clothes and fun little girly gifts and wish I could buy, make, create, something with some sparkle and pink. But guess what? There’s plenty of fun to be had with little boys as well. 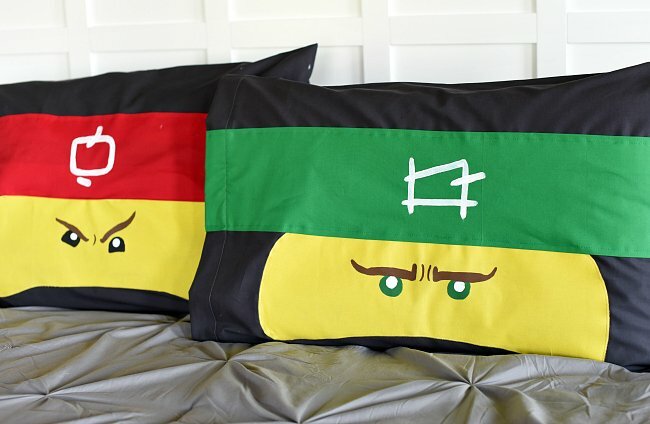 These LEGO NINJAGO Movie inspired pillows are fun to make, adorable in your kids’ bedrooms and a crowd pleaser among my clan. Having a fun pillowcase is my boys favorite. (I imagine there are some fun little girls that will love these too-am I right?) And it’s fun for me to get to sew something cute for them! 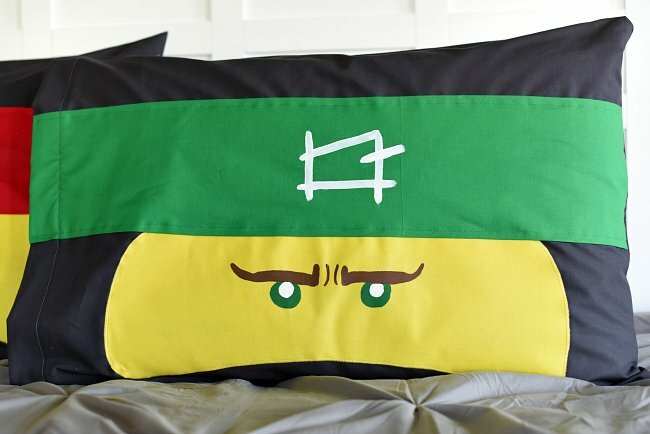 With the upcoming release of The LEGO NINJAGO Movie on September 22, and with my boys already long time lovers of LEGO NINJAGO, it only seemed fitting to make them some fun pillows for their beds. 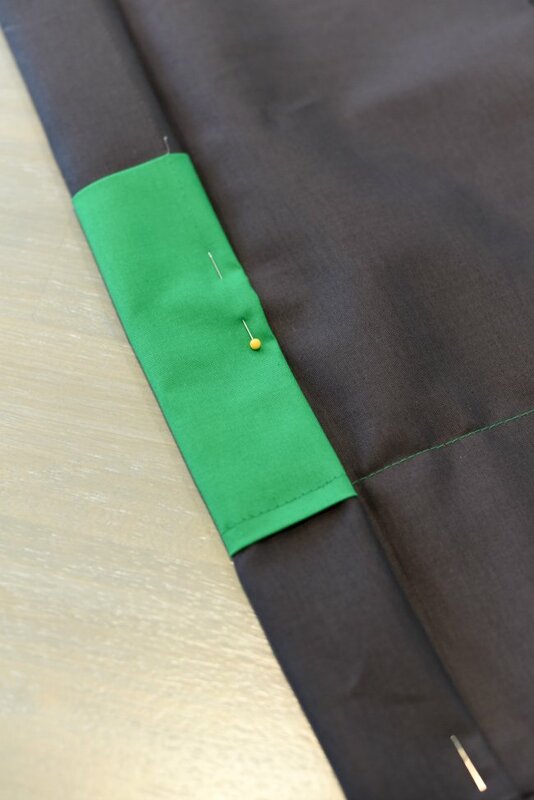 Cut out your black fabric to be 34 inches by 40 inches. 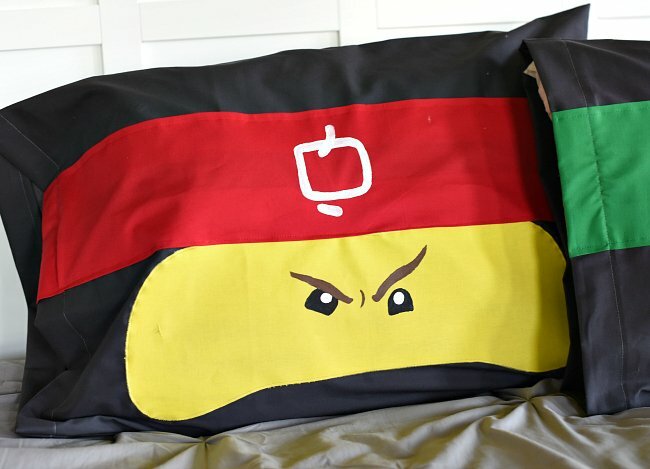 This will form the actual pillowcase. 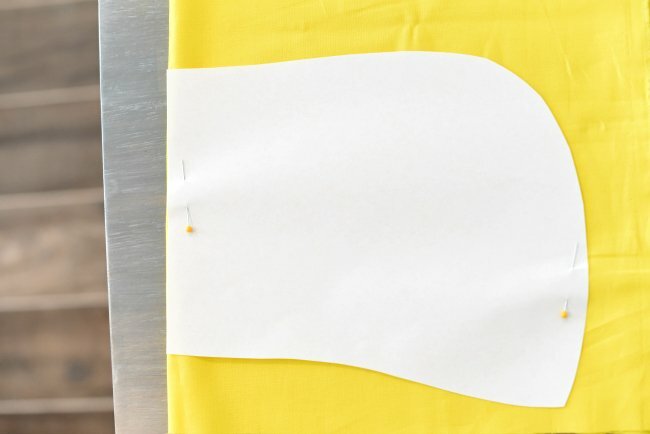 Print and cut out the face pattern piece and then cut your yellow fabric with it by folding the fabric and laying the pattern on the fold, then cutting. Also cut this piece with the Heat n bond. Iron the Heat n Bond to the back of your yellow face piece. 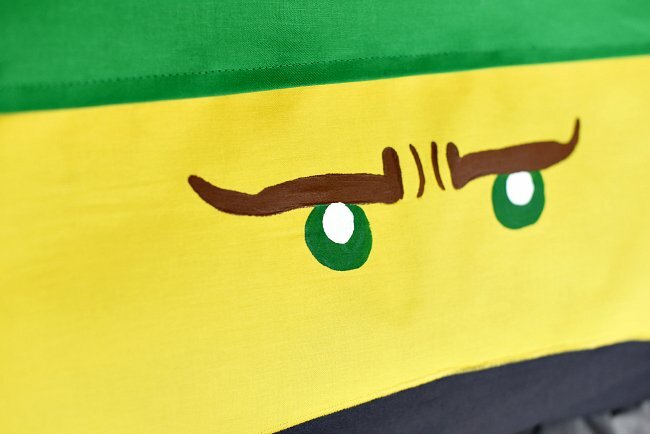 Now you’re going to paint the face of your LEGO NINJAGO Movie character on your yellow face piece using your fabric paint. I just free handed this. I am not an artist at all and this wasn’t hard. I practiced on paper first and I recommend that. Then I folded the face in half and did the first eye and eyebrow, then unfolded and did the other. Now you can set that aside to dry. 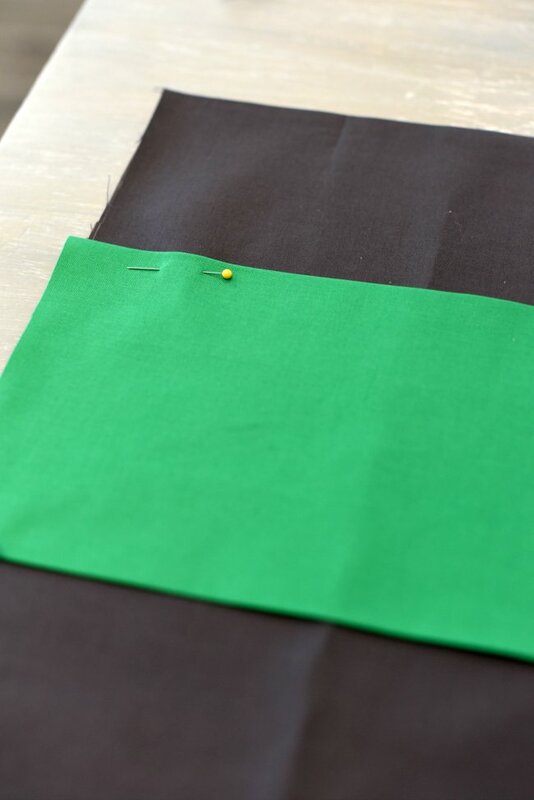 Grab your 1/4 yard of colored fabric-I’m using green for Lloyd (the NINJAGO character) in this case. Iron both of the long sides under about an inch or an inch and a half. 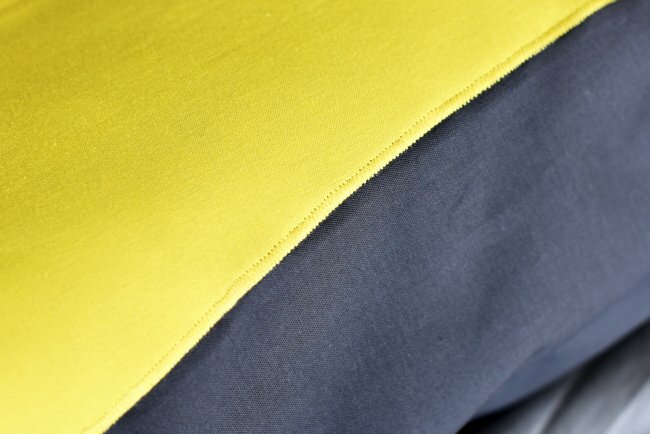 You’ll then want to place it about 2/3 of the way up on your pillowcase fabric (the black piece you cut earlier) and pin it through only one layer of the fabric. Sew along JUST the top of that piece. Trim off the excess on either end. Now, you’re going to hem one end of your pillowcase by folding it under about 2 inches and then again another two inches and sewing it. You’ll do this on the long end (the 40-inch end) through the colored strip that you sewed in place already. 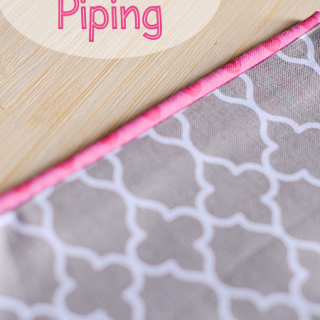 Make sure you are hemming it so that it goes towards the back of the pillowcase. If your paint is dry, peel off the Heat n Bond paper and iron your face piece just below and slightly tucked under the colored strip. Now you can sew the bottom of the colored strip down. 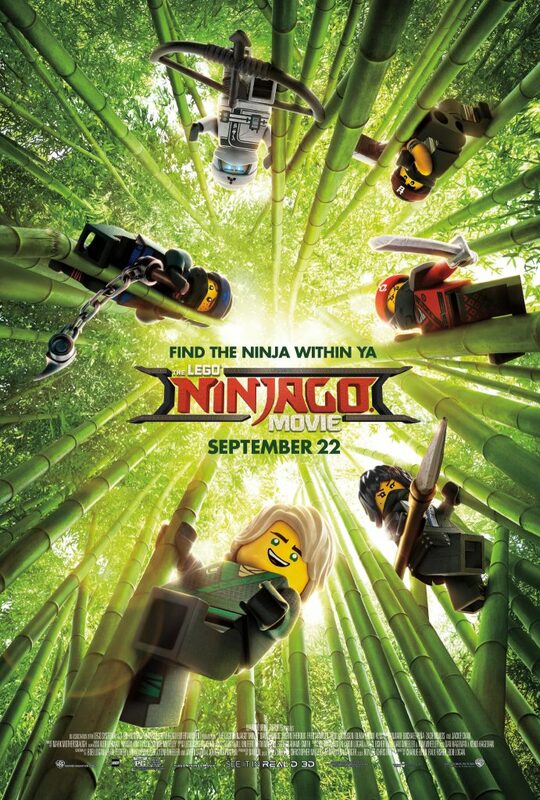 We are really excited about The LEGO NINJAGO Movie release in theaters September 22. My family loves all of the previous LEGO movies (I have to include myself in that too) and my boys have loved NINJAGO for years! It’s a no brainer that we’ll be seeing it in theaters. 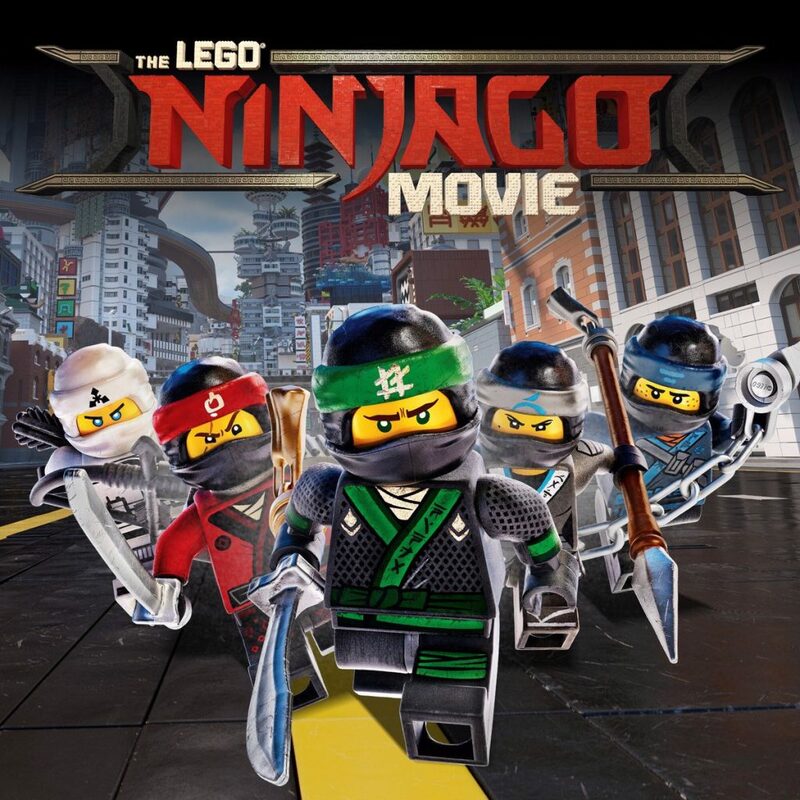 In this LEGO NINJAGO adventure their city is under attack and Master Builder Lloyd and his friends (the secret ninja warriors) must save it. The new animated adventure in Warner Bros. Pictures’ LEGO® franchise, “The LEGO NINJAGO Movie” stars Dave Franco, Justin Theroux, Fred Armisen, Abbi Jacobson, Olivia Munn, Kumail Nanjiani, Michael Peña, Zach Woods, and the legendary Jackie Chan. 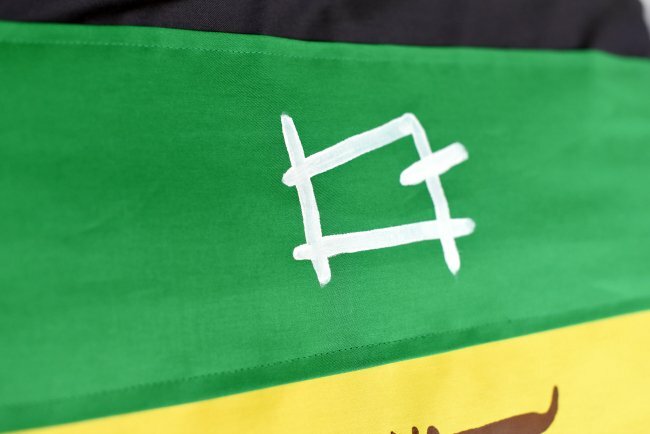 And if you really want to get excited to see it, make some pillow cases before. A fun project for you and something your kids will love! Win win right? They are adorable. My kids love this series and we are so so excited about the movie. What kind of fabric did you use? I’ve only ever sewed little projects in terry cloth, fleece and felt so anything slippery is a little scary to me but I would love to make a few of these, my kids would love them! Just a basic cotton. It’s not slippery-you can do it! If you are painting the face on, why do you need the heat n bond and then zig zag it on? nice idea, grandsons would love this, but i’m lost without the eyes and symbol, so I’m not even gonna try — working with paint on fabric leaves too much that can go wrong. would surely hate to mess it up after the pillowcase is all done. glad your family enjoys it so much! these are awesome, going to make a few for my Grandsons for Christmas, I read your tutorial closer and now know why I need the heat n bond! Your projects are amazing and I really enjoy making them and I have learnt from you how to make awesome hooded towels. Thanks so much for your incredible talent!